Canberra, the capital of Australia is really well-known for its cafes & restaurants. This article will guide you around the city's cheapest stalls & cafes where you can have lip-smacking food at affordable rates. I have shortlisted 5 to give you a brief idea about the food here. It doesn't matter in which city you are; Australia's food is something that you should definitely try out. Along with major hubs like Sydney, Canberra, Melbourne, small cities do provide tourists with excellent quality & taste. On the other hand, Canberra is one such destination that provides travelers with food that tells a story. Along with award-winning cafes & restaurants, Canberra also houses really good cheap stalls where all type of cuisine is served. Canberra's food reputation has increased over the past few years due to food tourism which has been promoted. Fresh cut fruits & vegetables from the farm, crafted beers from quality beer shops, wine from world's famous vineyards becomes the highlight of Canberra's food culture. Delicious food should not always drain your pockets, at some point in time, you need to get out and explore local food culture at lesser-known shops & stalls. Tilley's Devine Café Gallery – This café is loved by locals. By any chance, if you came across this place, it is filled with Aussie people. 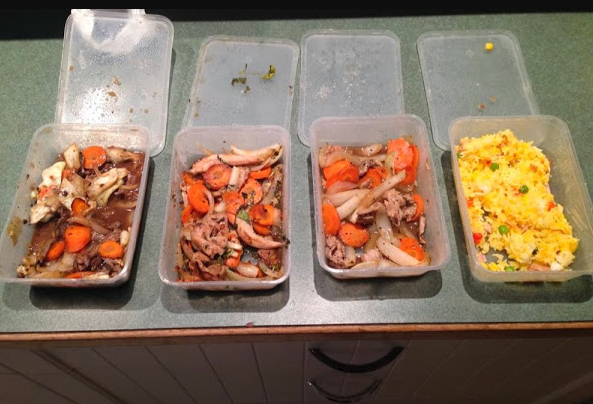 The reputation of this café's food culture amongst Aussie's is well-popular. In Australia, it's difficult to find a cozier café, the buzzing cities make it hard for people to relax & enjoy. But Tilley's peaceful atmosphere and stunning ambiance will mesmerize you. The café is occupied with old styled piano bar, wooden chairs & booths. Even the staff here are dressed like suspenders. This café sort of takes you back to past, considering the ambiance of it. This café is famous for excellent breakfast. The items listed in the breakfast are delicious and worth a shot. Try 'English Lot' (combination of bacon, eggs, veggies, ham and a hash brown) for just AUD $19.80. If you're a vegetarian, then don't worry, they have 'Vegetarian Lot' for you at AUD $18.80. Tilley's is also well-known for brownies & cakes which starts from AUD $8.20. The Hamlet – The Hamlet is located in the central suburb of Braddon. This place brightens up once the sun sets. Hamlet is a huge collection of food trucks that come alive only in the evening. It's 10mins away from Canberra's city center which creates a unique spot for travelers to come down and enjoy delicious food. The Hamlet includes all type of cuisine foods and everything must be tried to experience the taste of it. It includes a mobile bar, New York-styled hot-dogs, hand-made burgers, pizzeria and Peruvian street food. For people who are street food enthusiast, there's no other place like Hamlet. Try these food truck items for once and make your stomach happy. Griffith Vietnamese – The great restaurant of Griffith Vietnamese lies 4kms away from the Australia's Parliament House. 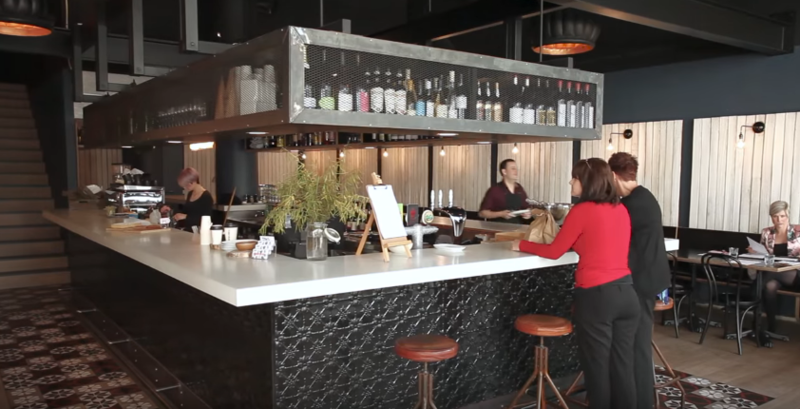 This bustling restaurant in Canberra Inn serves the best Vietnamese food in Australia. The ambiance & the interior design is as spectacular as the food offered here. Travellers who had already visited this place, have written their testimonials on the white walls singing the praises of the items served. The chefs are very presentable and really cares about your choice & preferences. They will do as you say – customize your food, add toppings and so on. Try the braised calamari garnished with ginger onion for AUD $13. For vegetarians, they have something special stored for you. Taste the vegetarian stir-fry with black bean sauce & soy sauce for AUD$16. After your lunch/dinner, do not forget to write a review about your experience, because it really makes them happy. The Old Canberra Inn – The Old Canberra Inn is the gem of Canberra city. Built in 1857, this iconic old pub is even older than the city. For a period of 150 years, this pub has served the best Aussie food & wine. Now popularly well-known for liquor, it still serves the same purpose. Cocktails and burgers produced here are deliciously tasty and juicy, served with different varieties & spices. Try the old-school "hard" lemonade cocktail which is considered to be the best-served item here. The inn houses, ambiance, furniture and the vintage look will take you back to the history of it. 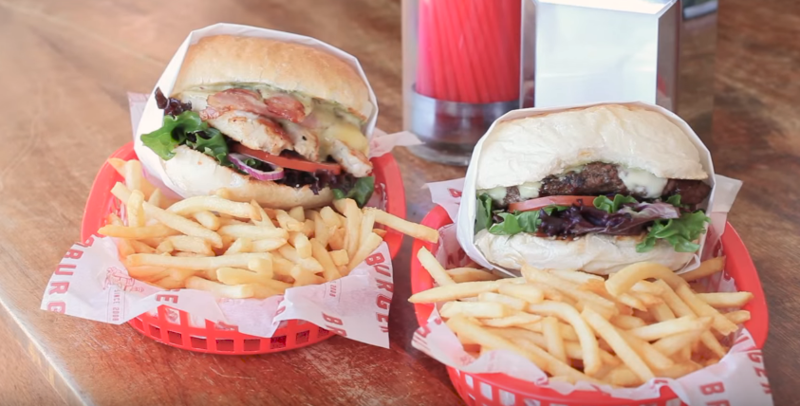 Brodburger – These American-styled burgers meet the fusion of Canberra's fresh spices & herbs. It is really popular amongst tourist and a huge crowd gathers near this truck once the sun sets. Brodburger is a causal eatery place situated in the middle of Canberra, Lake Burley Griffin. This single truck makes thousands of dollars in a day which eventually makes the name "Brodburger" a brand value. In the evening, long queues are formed to taste these burgers, where tourists really don't mind waiting for hours. If you're here, do not forget to try the famous "Brodburger", the name itself. This burger is filled with flame-grilled beef patty with some fresh olives & tomatoes, chopped Spanish onions & Swiss or cheddar cheese. It will cost you around AUD $14 which is considered to be cheap. There are other varieties of burgers that tastes really good. Do try them and give it a good feedback.